Done with taxes? Time to consult your wealth manager for a financial spring cleaning. If you’re like most of us, you’re probably due for a financial spring cleaning, and the end of tax season is a perfect time to enlist the help of a wealth manager to do it. This much-dreaded ritual has a way of unearthing other financial tasks. Thankfully, a good wealth manager can help sort out and prioritize these tasks for you, and help save you in the long run. Before you approach your advisor, the first and easiest (though rather tedious) task you can do to remain in good financial health is to organize last year’s financial documents, i.e. receipts in one pile, bank statements in another, donations, etc., then contact your accountant to see what you should keep, and what is worthy of the circular file. If you’re averse to tossing anything, you can always file or scan any documents you’d like to keep for future reference. Once you’ve organized, filed, scanned or tossed last year’s financial documents, it’s time to create a filing system for your bills and other finance-related mail. Otherwise, it’s easy to lose track of your finances. What is a good jumping off point? Whatever is comfortable and makes sense for you. Start with just a few folders and see what transpires. It’s a great alternative to that huge, unmanageable pile of paper many of us end up rifling through during tax season. It’s also a great time to consult with your investment advisor to find out what aspect of your finances you should be monitoring closely to promote your own financial health. If you’re not happy with your tax return, you may want to change your withholdings from your paycheck. A recent change in marital status, a new baby or another life event could also impact the deductions you claim. The fact is while big fat refunds are nice, you’re shortchanging yourself. Giving the government an interest-free loan prevents you from earning interest on your hard-earned money throughout the year. Not to worry—your investment advisor and tax advisor can help discuss withholding as a part of your overall investment strategies to find the most appropriate way to invest your money, without penalty! And the process of obtaining, and changing your income withholding status can be done in a matter of minutes. Other quick financial fixes include considering all the rollover options with an old 401(k) or transferring funds from a no-or-low interest-bearing account to something that may be more in line with your investment goals. With the help of an investment advisor, these are easy tasks that take no time to complete, and can strengthen your financial help incrementally. To enlist the help of an investment advisor at a reputable wealth management firm to identify and tackle your financial spring cleaning list, mooneylyons.com is a great place to start. Lyons Cole, Lauren. 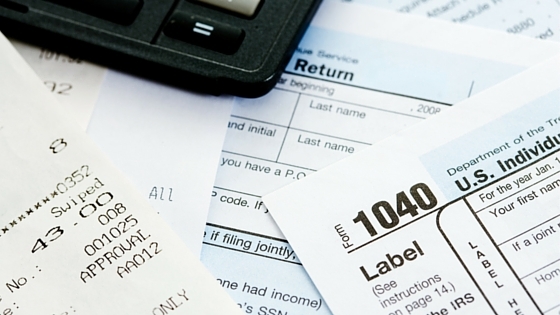 Spring-Cleaning For Your Finances: 5 Tasks To Do Now You’ve Filed Your Tax Return. International Business Times. 14 April. 2016. The opinions voiced in this material are for general information only and are not intended to provide specific advice or recommendations for any individual. Neither Mooney Lyons or LPL Financial offer tax services.